How To Update Xiaomi Redmi Note 3 Snapdragon to Marshmallow 6.0 . Update Xiaomi Redmi Note 3 Indian Snapdragon version to Android 6.0 Marshmallow . 1 Update Xiaomi Redmi Note 3 Indian Snapdragon version to Android 6.0 Marshmallow . 1.1 Marshmallow 6.0 Update for Xiaomi Redmi Note 3 Snapdragon Indian Version . 1.1.1 Android 6.0 marshmallow Cm13 custom rom for Xiaomi redmi note 3 Snapdragon Processor . Marshmallow update for Redmi note 3 Sd has been released . A well known custom rom maker Cyanogenmod has released CM 13 based on Marshmallow 6.0 For Xiaomi redmi note 3 Indian version . Believe it or not but xiaomi redmi note 3 is the best smartphone you can ever get below 12,000 rupees and not only in india but in the whole world . One of the major Things which make this smartphone the real beast is its super powerful Snapdragon 650 Processor which even performs better then the Snapdragon 810 in some areas . With features like fingerprint sensor and Nfc xiaomi redmi note 3 wins the match in every segment and that is the reason why xiaomi redmi note 3 sold outs in just 1 second , But with Many advantages redmi note 3 snapdragon has a disadvantage as well . It still runs on android lollipop 5.0 So in this guide we will tell you How to Upgrade Redmi note 3 snapdragon version to android marshmallow 6.0 . Marshmallow 6.0 Update for Xiaomi Redmi Note 3 Snapdragon Indian Version . As we already mentioned earlier that we will use a Cyanogenmod 13 custom rom for Xiaomi redmi note 3 Snapdragon to update it to android 6.0 marshmallow . Xiaomi Mi Max price specifications . As this is a custom rom so there are some chances of bricking during the rooting procedure , So do everything at your own risk . It is recommended to make a backup of contacts , files , and all important things . The custom rom is still in beta stage so you might face some bugs . This CM13 android marshmallow custom rom is for xiaomi redmi note 3 snapdragon variant only . Android 6.0 marshmallow Cm13 custom rom for Xiaomi redmi note 3 Snapdragon Processor . Download Marshmallow update for redmi note 3 from Here . Now place it in the root of Sd card . Now boot your redmi note 3 in TWRP or Cwm recovery mode . Now perform a factory reset and clear the cache . After That choose install zip from sd card . Choose the marshmallow update you downloaded earlier . The update will take sometime to complete . After completing you will see ” Installation successful ” . Thats all you have successfully update Xiaomi redmi note 3 snapdragon to android 6.0 marshmallow . Now what about Xiaomi redmi note 3 Mediatek users ? 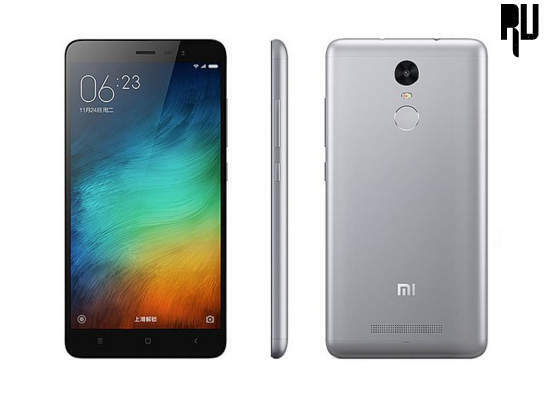 How to update Xiaomi redmi note 3 Mediatek to Android 6.0 Marshmallow ? Mediatek processors are undoubtedly powerful and have some major advantages over snapdragon processors like heating problem . But When it comes to software development support it is almost zero . So upto now there is no News on the android marshmallow 6.0 update for Xiaomi redmi note 3 MTK . However there are some custom roms available for the redmi note 3 Mediatek but they all are based on Android 5.0 Lollipop . So this was our guide on How to Update Xiaomi redmi note 3 Snapdragon and Indian version to android marshmallow 6.0 .